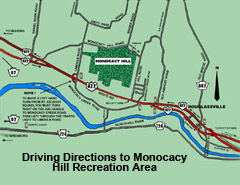 Getting to Monocacy Hill couldn't be easier! 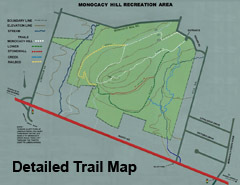 Click on the small directions map, below to go to our "Getting to Monocacy Hill" page with a detailed local map. 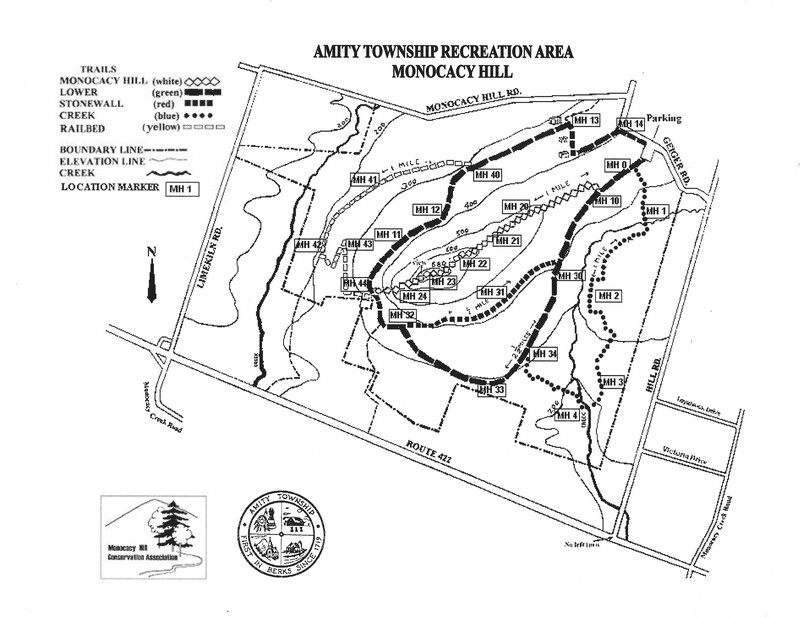 Then come back to this page and click on the small "Trail Map" to go to our large, printable map of all of our trails and features. Then get in your car or on your motorcycle and come see the great natural outdoor recreational activities that await you here!